Clear, glowing complexion is one of the best indicator of healthy skin. But with the amount of stress we face every day, coupled with pollution and exposure to harsh chemicals, our skin suffers. It becomes overly sensitive, causing it to react easily to environmental aggressors. This leads to breakouts, leaving you with a duller appearance. Fortunately for us, nature gifted us with 100% Moroccan pure Argan oil, one of the most exceptional facial oils to hydrate, repair and rejuvenate all at once. Here are 5 clinically proven benefits of pure Argan oil on your skin. Your hair deserves equal care, here is the ultimate guide on how to protect your locks with Argan oil. Pure Argan oil provides an instant boost of moisture as it contains the highest percentage of Vitamin E and fatty acids than any other plant-derived oil. It also contains sterolins that promotes skin cell metabolism and high hydration. Pure Argan oil is readily absorbed into the skin. Which helps to lock in moisture, leaving you with a healthy and hydrated complexion all day long. The anti-oxidants in pure Argan oil acts as a protective layer from free radicals that aims to slow down the effects of ageing. This in turn keeps your skin moisturised, plumped while restoring the skin’s elasticity. In addition, Argan oil promotes skin cells regeneration, leaving you with a more youthful-looking appearance with a visible reduction in fine lines. More on the most effective ways to use Argan oil here. Pure Argan oil is helps to even out skin tone, tighten stretch marks and reduce sunspots. The antioxidants in Argan oil prevent inflammation and consequently reduce the chances of blemishes, acne scars and hyper-pigmentation. The lipids and fatty acids in pure Argan oil clear damaged cells and promote the regeneration of new ones for a healthier and more even complexion. Acne is caused by changes in hormones, which releases excessive sebum (oil) that clogs the pores. 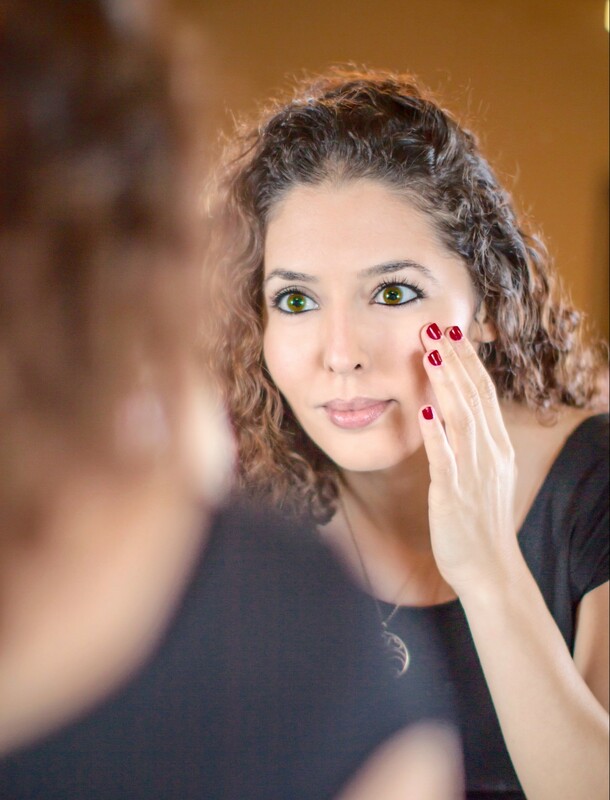 While it’s sometimes challenging to balance the hormones, Argan oil can reduce sebum production responsible for oily skin, leaving you with an acne-free complexion. If you are skeptical about using a facial oil on oily skin, you can find out more on why oily skin needs facial oils here. Our hands are one of the earliest body parts that suffer from aging. Massaging hands with pure Argan oil deeply nourishes the skin, fights sun spots as well as boosts nail growth. The skin is the largest organ in the body and requires special care. To guarantee the best benefits of pure argan oil on your skin you need to make sure you are using the best quality, since not all argan oil is created equally. We narrowed down here a few ways to help you choose the best Argan oil and spot a fake one. What other skin benefits are you looking for in your skin care products? Did you notice any other helpful benefits about argan oil on your skin? Comment below and share this article as a subscriber and you will receive our ultra-hydrating Argan cleansing bar worth $19 for FREE* Sharing is caring! Let’s chat! Freaking love agran oil so much!!!! Happy to know that you love its benefits. Thanks for your passionate love. I can’t wait to try my first bottle of organ oil! I have used Argan oil for my hair and skin. I love it and seeing the benefits every time; smoothness, nutrients to the skin and more. Thanks for sharing Habiba. Thanks for sharing your wisdom. It is amazing what you can do with argan oil. I started using Ayelli’s argan oil a few years ago and have since then never looked back. My face and hair is very happy. Glad to explore new things through your new blog. Keep sharing! What attract me to Ayelli Argan Oil is the lady behind this product. I admire her courage and her product goes beyond its quality. The product helps the community where the natural ingredient is sourced. Her product is fantastic. It is organic, USDA certified. It contains only one ingredient. It leaves no oily feel on my face. Instead, my face feels very smooth and the result is fantastic. I have long finished my first bottle, and I want to get a second bottle soon.